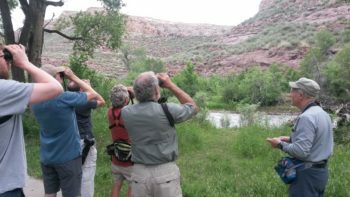 The PIF International Science Committee is a volunteer partnership of scientists from universities, NGOs, and agencies in the U.S, Canada, and Mexico dedicated to advancing scientific concepts and approaches for landbird conservation at range-wide and regional scales. The PIF Science Committee develops and maintains all aspects of the PIF Species Conservation Assessment Database and Population Estimates Database, and is responsible for the writing and updating of all continental and regional PIF Bird Conservation Plans, as well as Handbooks for the PIF Databases and other technical documents. 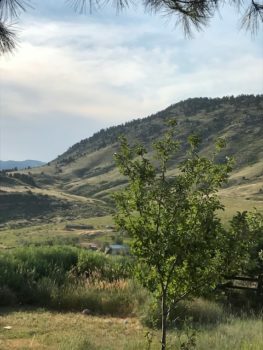 In early July at the Bird Conservancy of the Rockies Offices in Fort Collins, the PIF Science Team held its annual meeting. Declining grassland bird populations across North America were the primary focus the first part of the meeting. The meeting started with a trip to Soapstone Prairie in northern Colorado to understand Baird’s Sparrow ecology and grassland habitats and visit an ongoing research project. The following day, the Committee engaged in discussions based around a series of presentations about what we know and don’t know regarding grassland bird ecology across the continent, population declines, bottlenecks across the full annual cycle, and ideas about priority science needs to better guide management actions at multiple spatial and temporal scales. The Avian Conservation Assessment Database (ACAD) dominated the next day’s work agenda. Read the ACAD PIF article here. Global scores are now complete for all North American species from Canada to Panama; regional scores were the focus of this day. Break-out sessions included final review of regional level scores and finessing details in the assessment process including issues surrounding consistency between global and regional scores and how to treat extinct and extirpated species in the assessment. The focus of the final day was on refining current population estimates and developing new analytical methods to estimate population size. New and creative uses of eBird data to understand distribution and abundance were on the agenda as well. 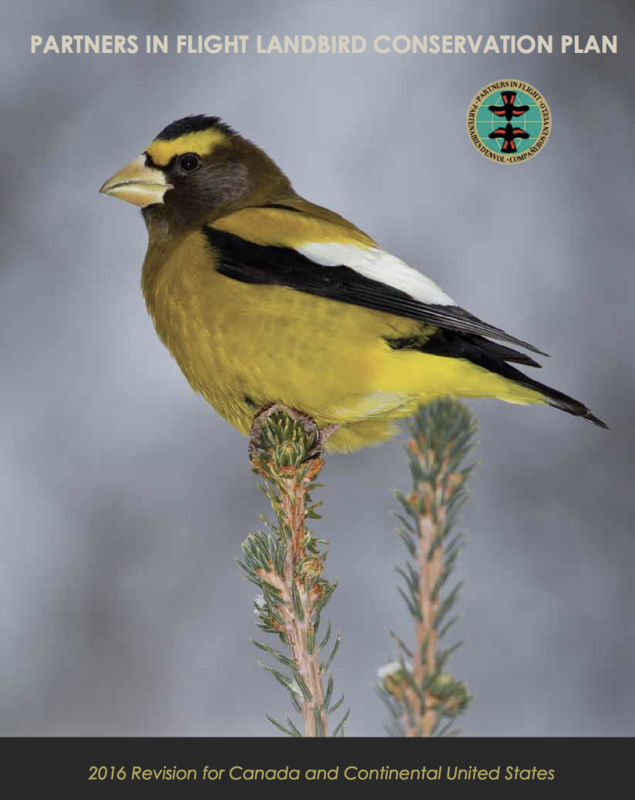 In addition, the science committee held a discussion on the impacts of neonicotinoids on bird populations and the results of a new study of Brown-capped Rosy-finches, led by the Bird Conservancy of the Rockies. 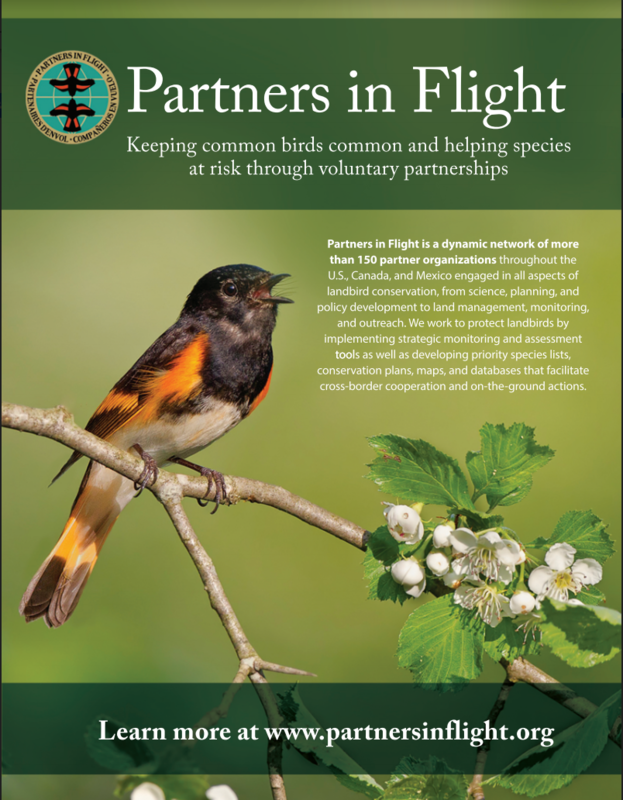 The PIF International Science Committee is a strong and robust international group that continues to work on cutting-edge science needs important to the conservation of declining bird populations and keeping common birds common. If you would like to join us, contact Bob Ford at the email address listed below. Becky Keller is the Science Coordinator for the Appalachian Mountain Joint Venture, and works for the American Bird Conservancy. Alaine Camfield is Bird Conservation Biologist with the Canadian Wildlife Service, Environment and Climate Change Canada. Bob Ford is Coordinator of Partners in Flight and works for the U.S. Fish and Wildlife Service ([email protected]).